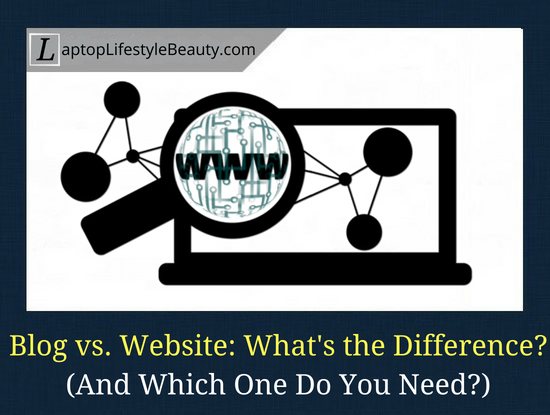 Blog vs. Website: What is the Difference and Which One Do You Need? Question of the day: What is the difference between a website and a blog? … they couldn’t understand what the difference between a website and a blog is. This gave me an idea to write this post on my blog as well and explain the matter in detail. I don’t think it’s possible to give an exact answer to the aforementioned question, however it’s possible to examine the differences between a blog and a website, as well as consider the pros and cons of each. I feel that first I need to define these terms for you before I move on to the differences between a website and a blog. Of course, you can search the definition on the internet but it is likely that you will run into a strange set of words that don’t make sense to you as a newbie online, or worse, will confuse you even more. (Trust me, I’ve been there). Let me try to explain this to you in simple language. Absolutely anything that you find on the vast internet, be it a forum, e-commerce store, news portal, and even a blog can be defined as a “website”. We all are used to calling anything on the web as a website. If we think about it, it makes sense. The word “site” is a synonym of “place”. If a website is a place on the internet, then all aforementioned examples are just a kind of website, which belongs to a webmaster (owner of a website). And what is a blog? If we follow our chain of thought, then a blog is just one kind of website. However, I’d like to give you a more detailed answer to the definition of a blog. Generally speaking, a website or a blog are created for the purpose of sharing information with the public/internet users. But, here is the thing though. the audience doesn’t even know who these webmasters are. they can share any kind of information that they want on their blogs. This is my most basic way to explain what these two terms are. As already mentioned before the main difference between the two is that the website owners are unknown to the public whereas blog owners show their face and share personal life stories with their followers. As a general rule, blog owners include an “About” page where they share their image as well as share their short autobiography. Let me use my old blog​ as an example here. as well as I use informal language to connect with the readers of my blog. And I do the same with the current blog too. If the readers of my blog want to reach out to me, they can find me on social media, send an e-mail or simply comment in the comment section of each post. In other words, they can stay in touch with me and I can stay in touch with them. As a general rule, bloggers tend to share not only about the main topic of the blog but also a few personal experiences. Again, this helps to connect with your readers. All of the aforementioned are indicators that my website is a BLOG. Besides the main difference between the two that I mentioned earlier, there a couple more distinctions that I should mention. We all know that websites and blogs are created for the purpose of delivering information to Internet users, as well as make money with it. 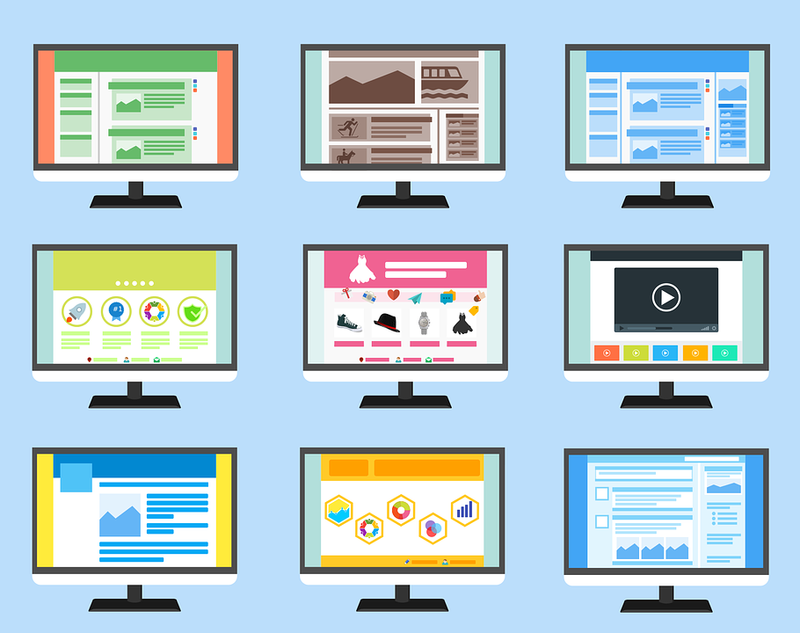 Website owners (webmasters) may have multiple websites, may provide content not really understanding the subject matter and their websites are mostly a source of income. For bloggers, as a general rule, their blog is a hobby, which happens to eventually feed its owner (if they monetize their blogs, that is). … Whereas bloggers write blog posts themselves and therefore they are easy to be emotionally connected with. The websites use professional language, and bloggers try to deliver information in simple language. While both website owners and blog owners have their audience, the main distinction is that the website readers generally find the information they were seeking for, leave the website and never come back. If we look at a blog site, due to the nature of a blog structure, it has the ability to unite its readers who share common interests with a blogger. Which One Do You Need – A Website or A Blog? Let’s say you explored the online opportunities and you are ready to build a profitable online business​. Based on the information that I shared earlier, you will know that you will need a BLOG if you are OK with showing your face, want to be popular online and, for example, sell information products. Because you are open to your blog visitors, you have a unique chance to build a high-trust relationship with them and, therefore, convert your visitors into clients. However, not everyone wants to be popular on the Internet and they would rather prefer to make money in quiet and peace. If you fall into that category, then you need a WEBSITE and you can hire freelancers to do the work for you. From what I’ve seen in the last year of blogging for business, I noticed that every successful online businessman is involved in the blogging trend, as they can build a high-trust relationship with their blog visitors and therefore have more sales. Your visitors need to TRUST you before they hand over the money to you for the product that you produce or recommend. Do you understand what the difference between a website and a blog is? Do you want to become a blogger or a webmaster (website owner)? Any thoughts or suggestions are welcome in the comments!